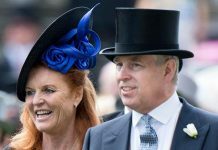 Sarah Ferguson has made a surprising confession about her relationship with her ex-husband Prince Andrew: the Duchess of York still keeps and watches their Royal Wedding video. 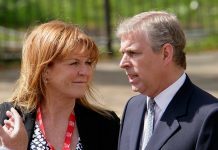 The Duchess of York, also known as Fergie, smiled as she recalled the day the pair tied the knot on July 23 1986 in Westminster Abbey, in a clip recently unearthed. 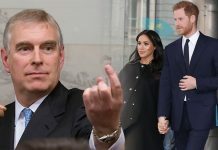 The mother-of-two also told how she she still keeps a photograph of her and her father from her big day, despite divorcing Prince Andrew in 1996. Speaking to Kyle and Jackie O from Australia’s KISS 1065, she said:”Yes I do keep a copy of the wedding video, and I do actually have a photograph of my father taking me in the glass coach with the four white horses, a very very beautiful day. Speaking about her wedding to Prince Andrew in 1986, she said: “I threw myself into the most incredible love affair. “The thing is that it was the greatest day of my life marrying the finest man, and he is the finest man in my life and he’s got an essence of gold. 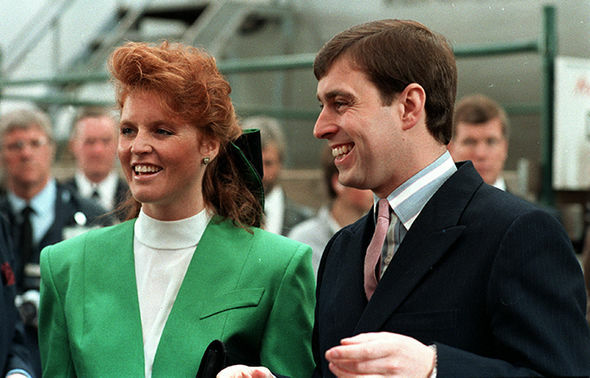 In 1992 the Duke and Duchess of York finally announced their separation after spending a lot of time part while Prince Andrew was on royal duties. Just months later, photographs emerged of the redhead receiving a toe-sucking from oil tycoon John Bryan, who was described as her financial advisor and the couple divorced in 1996. But the pair, who have two daughters, Princesses Beatrice and Eugenie, still remain firm friends and even share a residence. 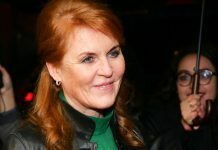 During the 2016 interview, which has resurfaced, Sarah Ferguson also spoke about sharing the Royal Lodge with her ex-husband Prince Andrew. She added: “I am very lucky to travel for my philanthropy, I’m a philanthro-preneur. “So I’m in and out all the time, and he is in and out all the time. “No we’re not married and we’re very happy with the way things are.